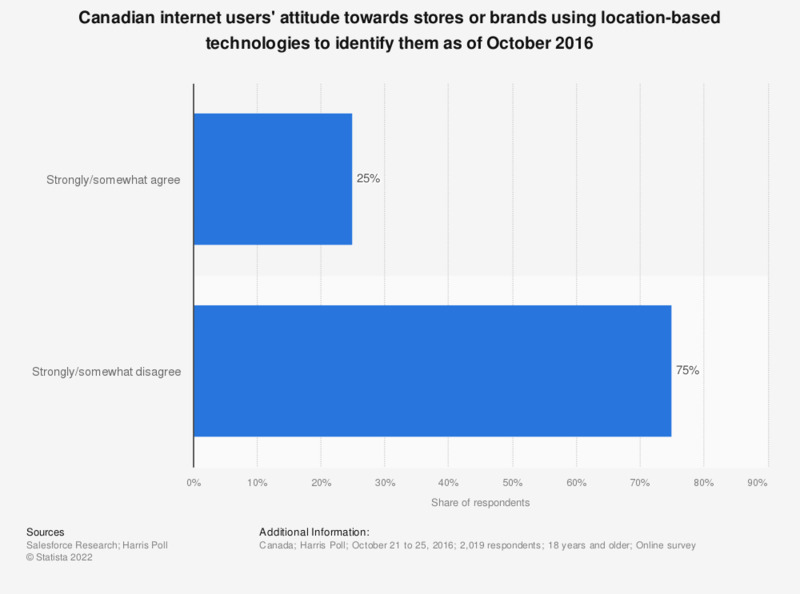 This statistic presents the share of internet users in Canada who would like stores to use location-based technologies to identify them as of October 2016. During the survey period, 25 percent of respondents stated that they agreed with this statement. Original statement: I would like a store/brand to know who I am when I walk into a store because of location- based technologies (e.g., iBeacons, RFID, geofencing). Do you currently replace in-store shopping with an online subscription to recurring product shipments for things like razors, clothing, meals, or other items?